On the eve of the Lunar New Year of the Snake, Badzine caught up with the world #2 junior Soong Joo Ven of Malaysia to discuss the milestones of his sporting adolescence and ended up capturing a snapshot of him comfortably coming of age in both civilian and professional badminton life. Interview by Aaron Wong, Badzine Correspondent. 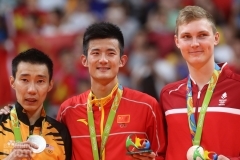 17-year-old Malaysian Soong Joo Ven happens to be the one to beat at this year’s World Junior Championships (WJC) since the 2012 title holder and world #1 junior Kento Momota of Japan along with Denmark’s 2010 WJC Viktor Axelsen, 2011 WJC bronze medallist Sameer Verma of India, as well as 2013 Australian Youth Olympic Festival gold medallist and 2012 WJC runner-up Xue Song of China will all be too old to be eligible again. 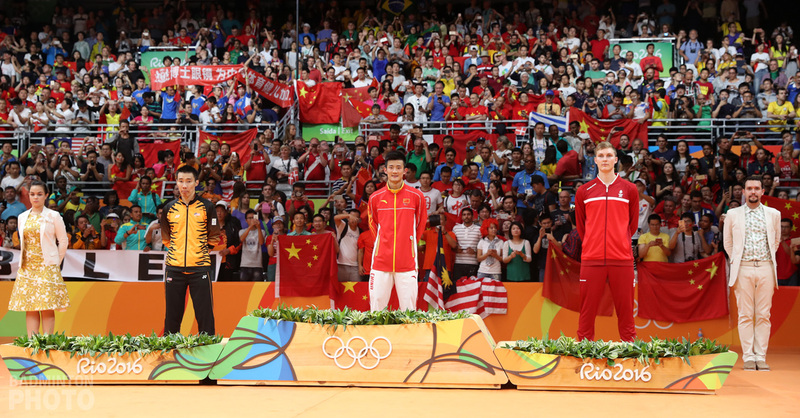 Soong’s remarkable achievements thus far include runner-up at both the 2012 Badminton Asia Youth Under 19 Championships (behind Momota) and 2013 Australian Youth Olympic Festival (behind Xue). He also sits at #172 on the adult world ranking list, 4 spots below his recent best. On Monday, I passed everything in my driving test. Thank god, so nervous. 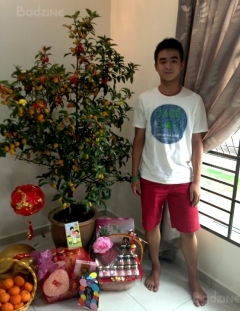 As it is Chinese New Year this weekend, I’m back in my hometown, Ipoh, for the reunion dinner. In the beginning, I taught myself how to play badminton. And then dad noticed and sent me to be coached by [former World Champion resettled in Malaysia] Han Jian. Han Jian emphasised footwork. Nowadays I don’t have a chance to see my first coach anymore because of my full-time training. Waking up six days a week at 5am is the toughest part about training. This is the life of an athlete and I have become used to it. I stand 176cm tall, weigh 65kg, and play with my racquet strung at 29lbs tension. I’m not able to benefit from using a heavy racquet because of not being strong enough yet so I use a comparatively light one, which is a Yonex Arc Sabre Z-Slash. 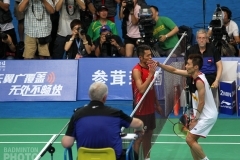 Lee Hyun Il and Lin Dan are my badminton inspirations. I love this Korean’s skilfulness. Part of the reason too is they’re left handers (like I am). 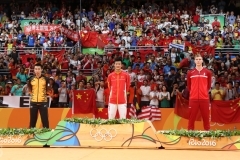 Lin Dan is, of course, the legend of badminton having won ALL the major titles and his aggressive play was perfect. It’s my interest and my dream to become Olympic champion, which [world #1 Lee] Chong Wei has fallen short of. The Youth Olympics in Sydney was a great experience. First time visiting and staying in an Olympic Village! Also, my first times playing against Xue Song [China’s highest ranked junior and eventual winner over Soong in both the team and individual men’s singles finals]. He’s a very explosive player. I’m sure we’ll meet again. In fact, I’m looking forward to it. I expected to meet him in the quarter-final of the Asian Juniors tournament last year but he lost (prematurely) to a Japanese player. Since then, I see that he has improved a whole lot. It was my own decision to specialise in singles. Singles players must be fit enough to keep up with our opponent’s speed. While preparing for my matches, I listen to my iPod so that there’s no distraction. I don’t listen to any specific genre of song though. Going on court to compete, I’m not nervous. Instead, I do feel the pressure of my world junior ranking being quite high. 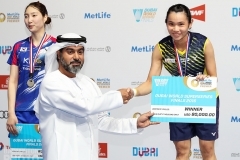 There’s the added pressure of being Malaysian as I’m depended upon most of the time as the country’s top young singles shuttler. I remember feeling terribly sorry to disappoint Malaysia when I played badly at the World Juniors meet last year where I was seeded 3/4. I felt compelled to apologise during the interview right after my match loss. There is a lot of pressure on me that players from other countries probably don’t have. I would describe myself as a player with depth of skills and strength at court coverage. Under normal circumstances, I should be able to reach any shuttle but presently I feel I lack the extra speed and power to do more with the shot execution. So I will concentrate on improving my physical fitness in the meantime. Generally, as games stretch out longer I’ll play better. An example is the Badminton Asia tournament where I won a number of 3-game matches without taking the first game. I was trying very hard but couldn’t get used to my opponent’s game early on. I’ve beaten Mohamad Arif Abdul Latif [highest ranking world #32] in the Malaysia International Challenge late last year. That was a great tournament for me. It proved to me that whoever plays well on the day can grab victory. That particular match gave me lots of confidence and he’s the highest ranking player that I’ve beaten, not to mention he was that tournament’s 2nd seed. So far I’ve competed in one Grand Prix level tournament, in Thailand. I aim to clear a few rounds this year at that level in order to improve my true world ranking. I also wish to play in Sydney again because the crowd there is wonderful. As I said, I’m convinced that on a good day, anyone can come out on top in a match. Doesn’t matter whether I’m facing another junior or playing the adult circuit. The main difference is that adults are more consistent than juniors. Almost turning 18 years old. Now’s the time for me to graduate into the adult ranks. 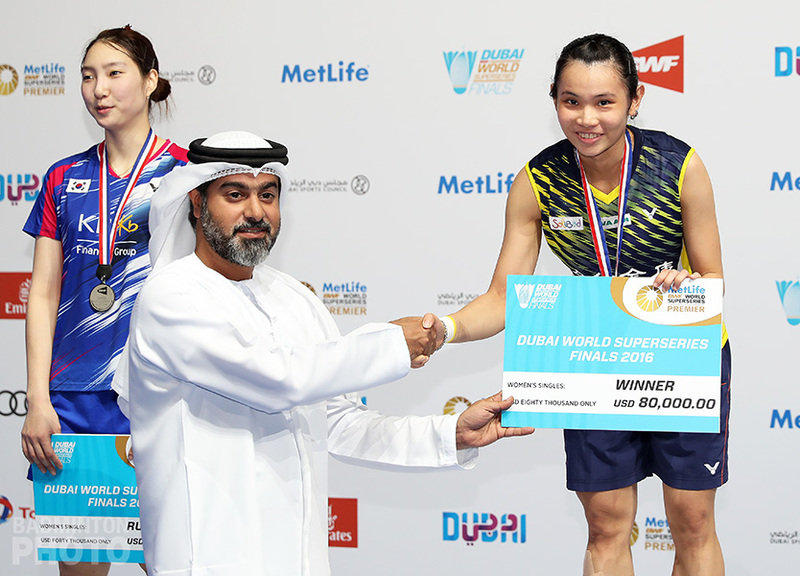 There have been many excellent Malaysian juniors who have come before me but who have struggled to keep progressing, and I worry, I don’t want that to happen to me. 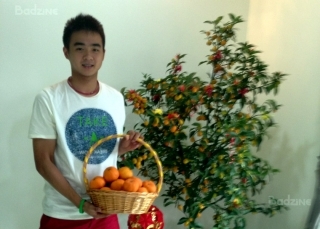 Take, for instance, Chen Long, who has reached world #2 while Arif has taken longer to adjust — I find that interesting. [Both Chen and Arif were finalists at the previous Sydney Youth Olympic Festival in 2007].